The full path to the extracted file will be displayed in the console window. 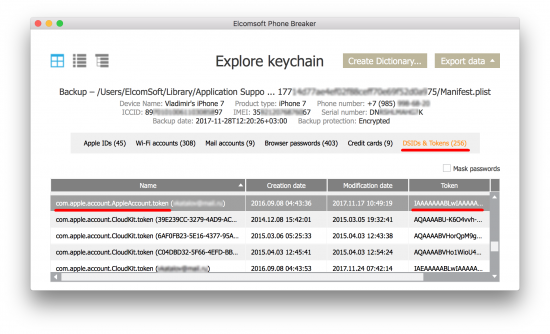 The resulting file with .txt extension contains the Apple ID of the current iCloud control panel user and its authentication token . 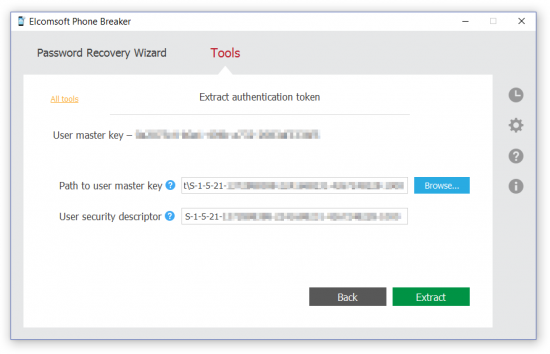 While extracting an authentication token from the currently logged in user on a live system is a one-click affair, obtaining one from a forensic disk image or just from another user is significantly more complex. The reason for this is the fact that authentication tokens are not stored in the system in plain text. Instead, they are encrypted, and you’ll have to provide path to the decryption key in order to make use of these tokens. 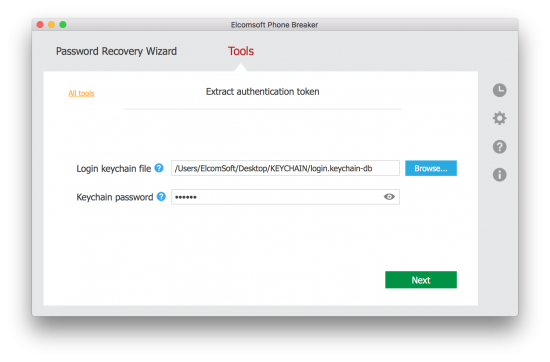 For extracting the token from the disk image (or another user on the same system), you’ll have to use Elcomsoft Phone Breaker. 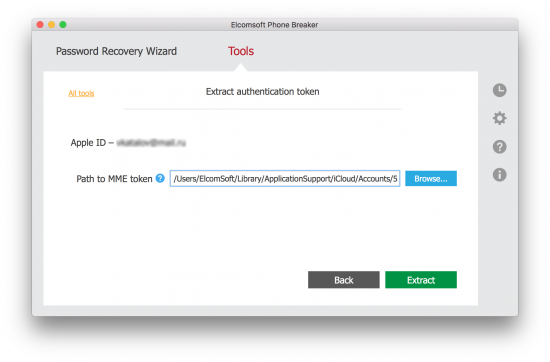 First, open the tool and navigate to Tools – Apple, then use Extract Authentication Token. 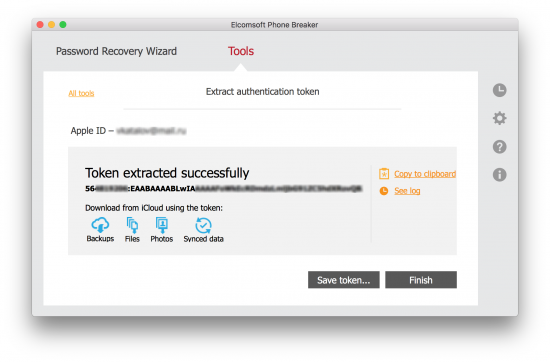 Note: detailed information about extracting authentication tokens is provided in Elcomsoft Phone Breaker user’s manual. In macOS, the authentication tokens are stored in the keychain. Let’s have a look at how to extract the keychain from. 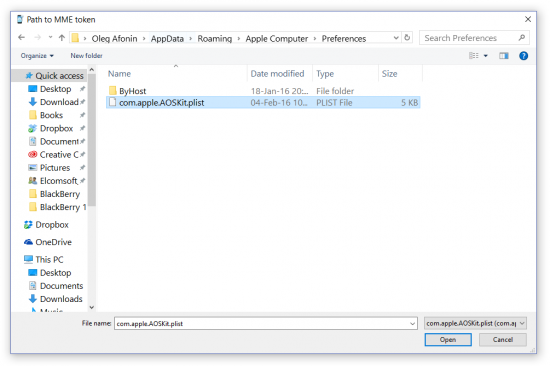 The iCloud authentication token is stored in the resulting .plist file. 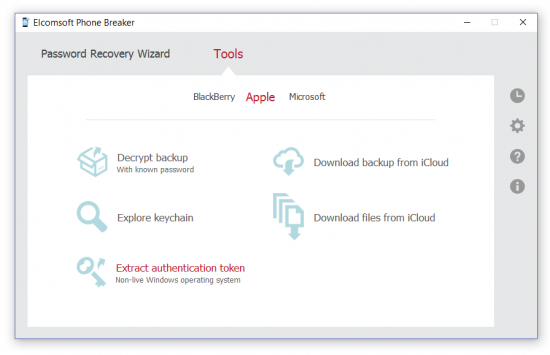 Copy the binary data and use in Elcomsoft Phone Breaker to access cloud data. 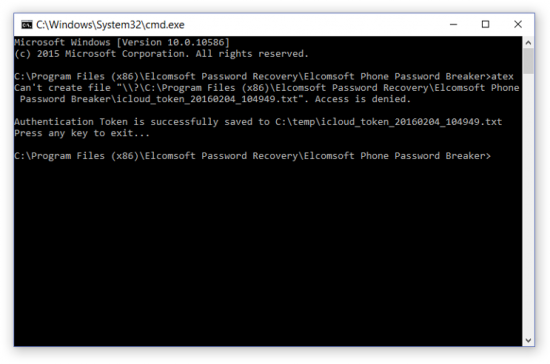 Extracting an iCloud authentication token from a disk image is a bit more complex. 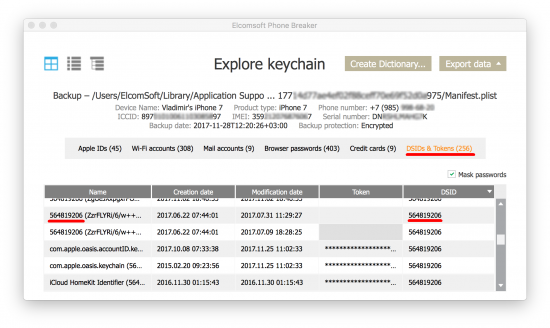 In Elcomsoft Phone Breaker, use Tools – Extract Authentication Token command. Provide path to the login keychain (it is stored under /Users/username/Desktop/Keychain/login.keychain-db in macOS Sierra and newer; in older versions of macOS, the file name was login.keychain) and enter keychain password to decrypt. Note that the keychain password is usually (but not always) the same as the user’s login password for a given account. The very first tab (Apple IDs) contains all sources known to us that may contain the user’s Apple ID password as well as authentication tokens. 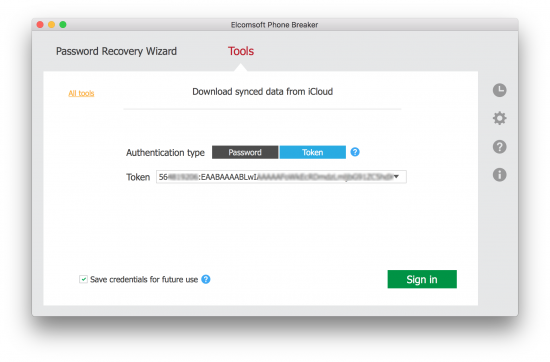 Try copying iCloud-related tokens and using them in Elcomsoft Phone Breaker to authenticate! This article concludes the short series of blog posts about authentication tokens. 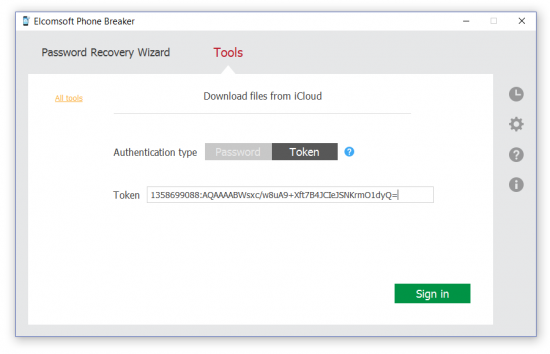 You should now know how to extract and use these tokens to access information stored in the user’s iCloud account. This entry was posted on Thursday, November 30th, 2017 at 3:27 pm	and is filed under Did you know that...?, Software, Tips & Tricks. You can follow any responses to this entry through the RSS 2.0 feed. Both comments and pings are currently closed. If token is biometric then it’s possible 🙂 or what did you mean, Apple watch or Apple tv?